Croatia has to be one of the best places in the world for motor boating and sailing, with thousands of islands to explore you will have a hard time choosing which ones to visit. Croatia has a great boating community with many beautiful places to explore like Pula , Zadar , Split and Togir, the trouble is to find enough time to explore them all. For expert information and advice about buying or selling boats and yachts in Croatia contact one of our experienced advisers who will be happy to assist you. 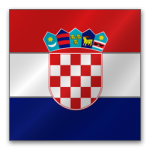 Below is the current list of boats for sale in Croatia that are available to our network. Yacht presented in as new condition with many upgrades.